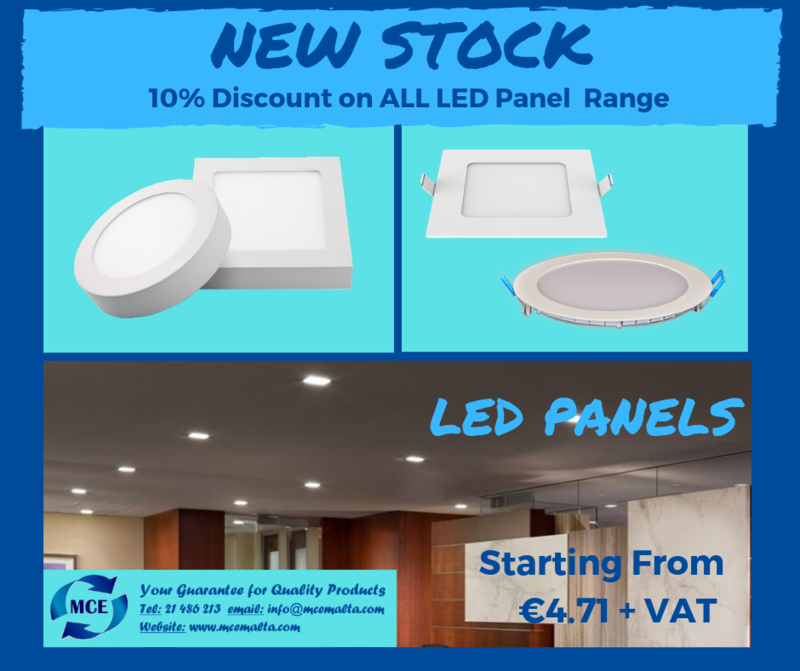 Special Promotion on LED Panels! Prices Starting from as low as €4.71! 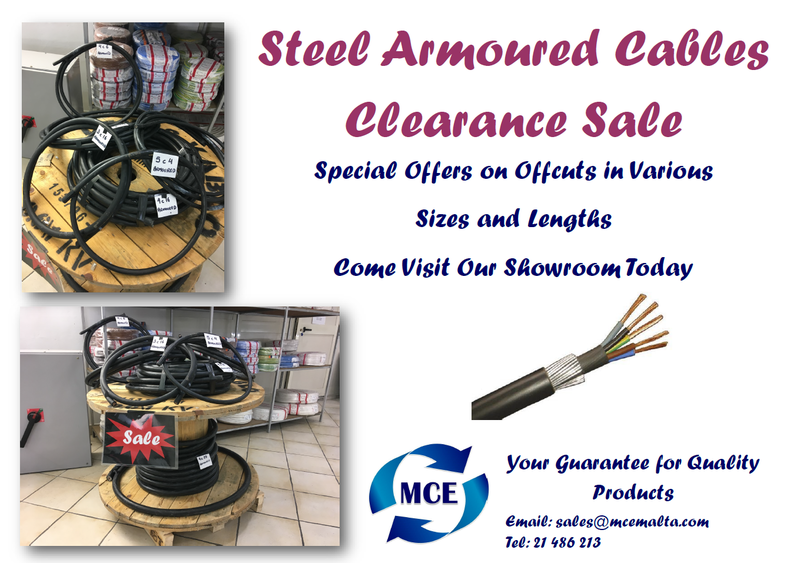 Clearance Sale on Steel Armoured Cables. 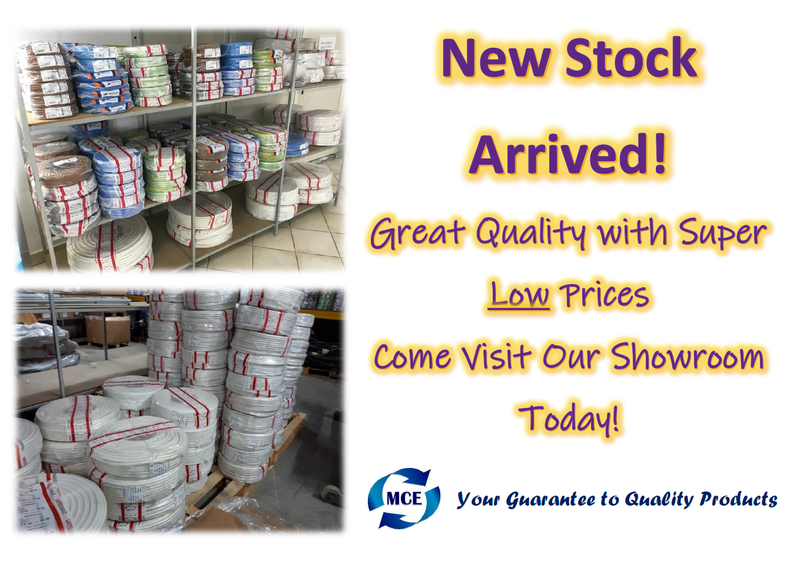 Great Quality Flexible Cables Available In Our Showroom for Super Low Prices! 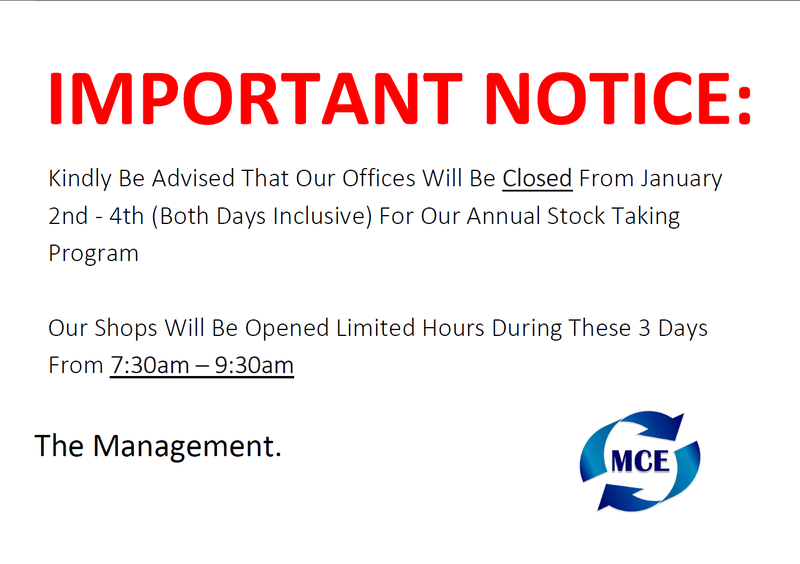 Kindly Note That Our Offices Will Be Closed From The 2nd - 4th January (Both Days Included) Due To Our Annual Stock Taking Program. 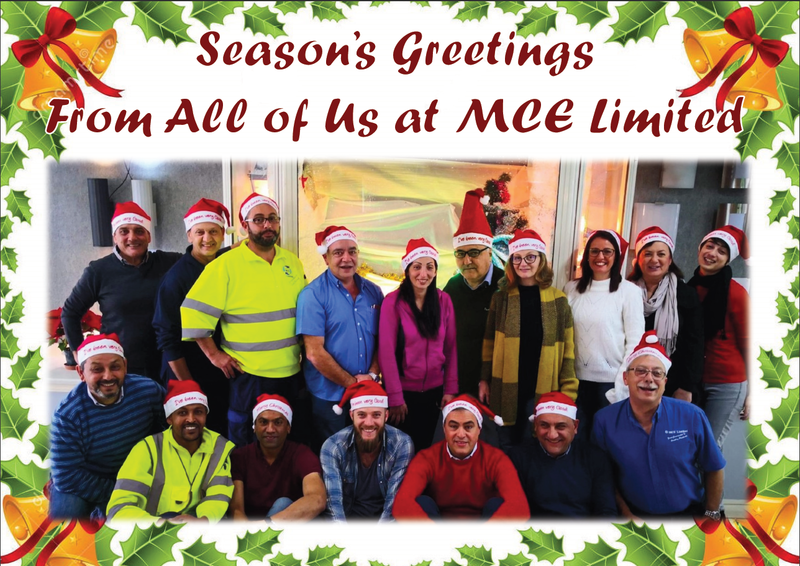 Merry Christmas and Happy New Year from All of Us at MCE Limited! Special Discounts on Volume Purchases! Participation is free and all are welcome. Refreshments will be served beforehand and all those interested in attending are asked to call on 21486213 or send an email to: info@mcemalta.com to register. It is important that participation is registered beforehand. 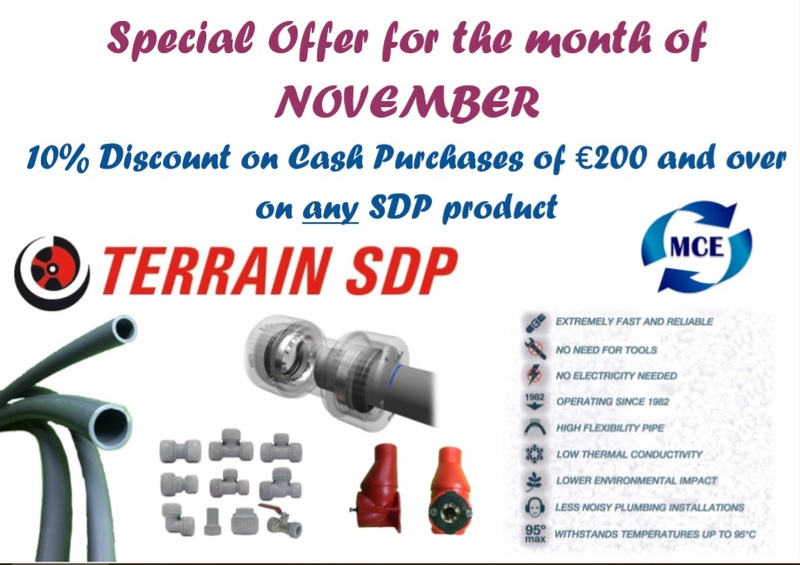 A seminar entitled "The Robust Solution for Hot and Cold Water Pipes" was organised by MCE Limited in collaboration with their supplier Terrain SDP of Spain. 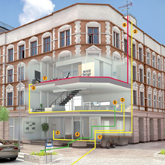 MCE have for many years been offering Polybutylene push fit plumbing solutions in Malta up to pipes 63mm in diameter and up to 110mm in thermo and electro fusion systems. Polybutylene offers many advantages over conventional pipes in terms of pressure, temperature and lifetime. The event was held at the Corinthia San Gorg Hotel, St Julians on Thursday 19th October. The main speaker was Mr. Javier Eiriz having over 30 years’ experience in plumbing systems in particular to High Rise Buildings and Towers. This presentation was another event organised by MCE Limited as part of their on-going commitment in keeping with their mission by informing clients of latest technologies and standards through seminars supported by their suppliers. The presentation covered amongst other things PB plumbing systems, push fit systems and correct installation methods, comparisons to other systems and materials, use with AC cooling and Boiler heating, electro fusion and large installations. Attending the presentation were contractors, engineers, insurance agencies, architects and representatives from various authorities. The seminar was extremely well attended and all present received a certificate of attendance. We would like to invite you to participate in this interesting seminar which will be presented by Mr. Javier Eiriz from SDP Nueva Terrain. Participation is free, refreshments will be served and a Certificate of Attendance will be presented to all participants. You may wish to inform your work colleagues and friends. 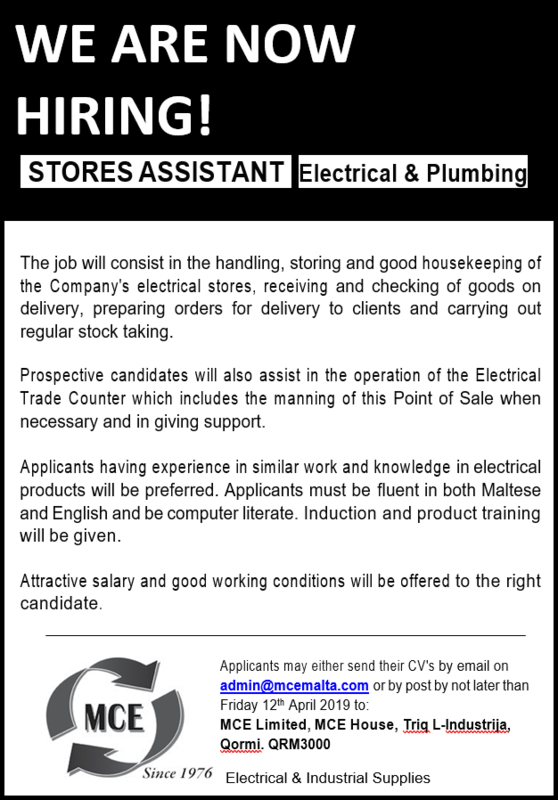 All those interested to attend are to call on 21486213 or send an email to: info@mcemalta.com to request an invitation. It is important that participation is registered beforehand. Stefan Steenstrup has been appointed the new Dormer Pramet President, as of 1 January 2017. Previously Global Sales Director, Stefan takes over from Fabrizio Resmini, who retires after 30 years with the company. Stefan said: “My work will initially be focused on continuity; continuity of our business model of being ‘Simply Reliable,’ continuity in delivering on key projects and continuity in driving us to our goals." Our new machining data calculator app is now available to download. The free app helps determine a variety of data on popular operations, such as milling, turning, drilling, threading and boring. Our loose-top solid carbide range offers a high performance yet extremely cost-effective drilling option. The Hydra drills are available with two head types for machining alloy steels (R950), as well as stainless steel, cast iron, titanium and nickel (R960). A major benefit of the Hydra range is that the heads can be quickly and easily changed without removing the body from the spindle, reducing machine downtime. MCE Limited, founded by Mr.Lionel Puglisevich in 1976, celebrated its 40th anniversary onSaturday 16th July, by organising a reception for all of its majorclients, consultants, suppliers and staff, at Villa Mdina in Naxxar. Specialguests were the Kercem Ajax FC committee, who MCE are proud to be one of theofficial sponsors for this team. The Spiteri Lucas Brass Band was inattendance, who entertained the numerous guests present. 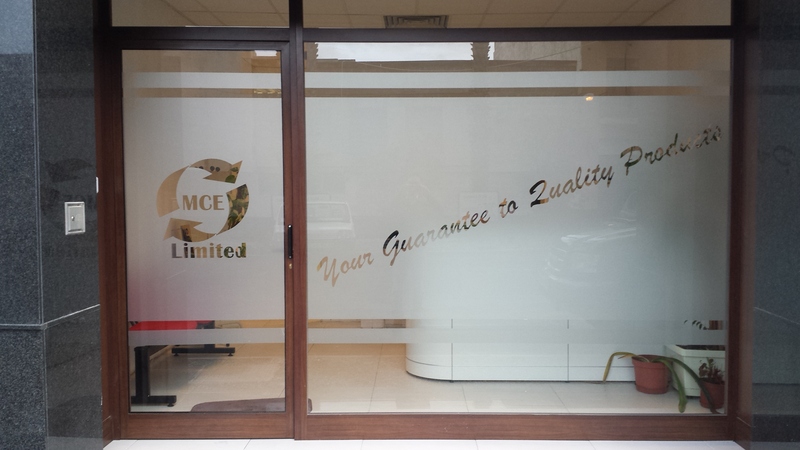 MCE limited are importers,stockists and distributors of Electrical and Plumbing products as well as beingsuppliers of Engineering Precision Cutting Tools and Work Shop Aides to theindustry. 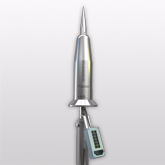 Another recent development is the design, installation and testing ofEarthing and Lightning protection systems. Mr Puglisevich Senior told theguests in his speech that in these 40 years MCE maintained a leading market positionin all lines of activity. He further announced that changesare planned for this year to help the company move forward and pass on thislegacy to future generations. In fact he was proud to see 3rdgeneration family members pushing ahead this dream. The MCE staff presented theDirectors with a wooden plaque with metal engraving commemorating the event.All guests were given a hand painted souvenir celebrating the occasion. A digital catalog of our latest indexable offer is now available for download. This single pdf covers all Pramet milling, turning and hole-making products, as well as all new indexable tooling launched in 2014 and 2015. Available from our website in English and German, the file has been prepared with an easy to use menu to help you find the exact product you need. We have launched a new Machining Tips playlist on our YouTube channel. The playlist features a variety of videos, each offering guidance on a range of machining applications and materials. In the first series, Ricky Payling, Dormer Pramet's application specialist, provides useful advice and support when machining stainless steel. Click here to view. Even though it has been around for more than 100 years, the use of stainless steel has increased significantly since the turn of the 21st century. In this special feature, we outline the growth of stainless steel and how the cutting tool industry has evolved to meet the challenges of machining this increasingly popular material. Free Toolholders with a number of indexable inserts purchased between the 1st March and 31st May. 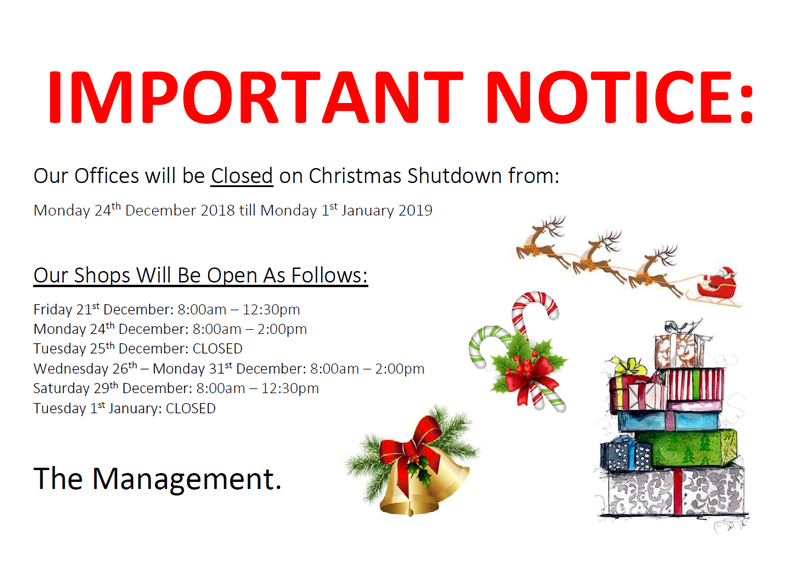 Please be aware that our offices will be closed during the Christmas period 24th December till 1st January. 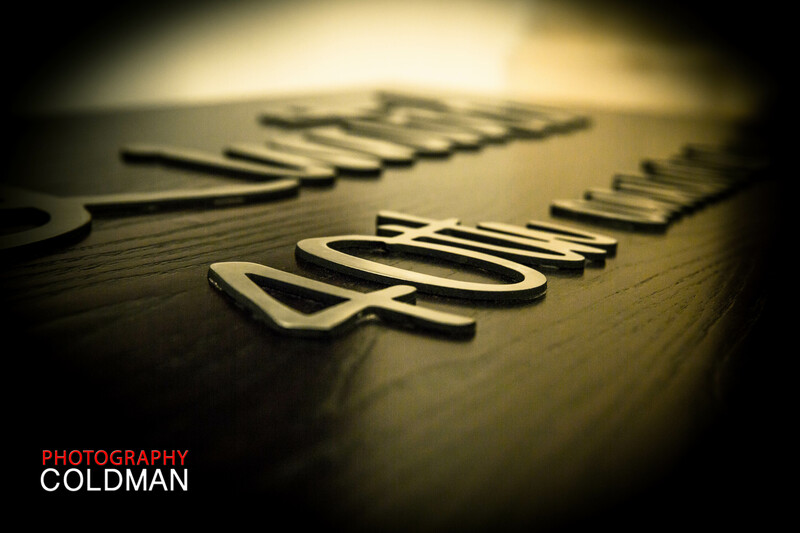 We will be open once again on the 4th January. On behalf of all our staff, we would like to wish everyone a very Merry Christmas an a prosperous New Year! We have introduced a new range from Dormer Pramet. 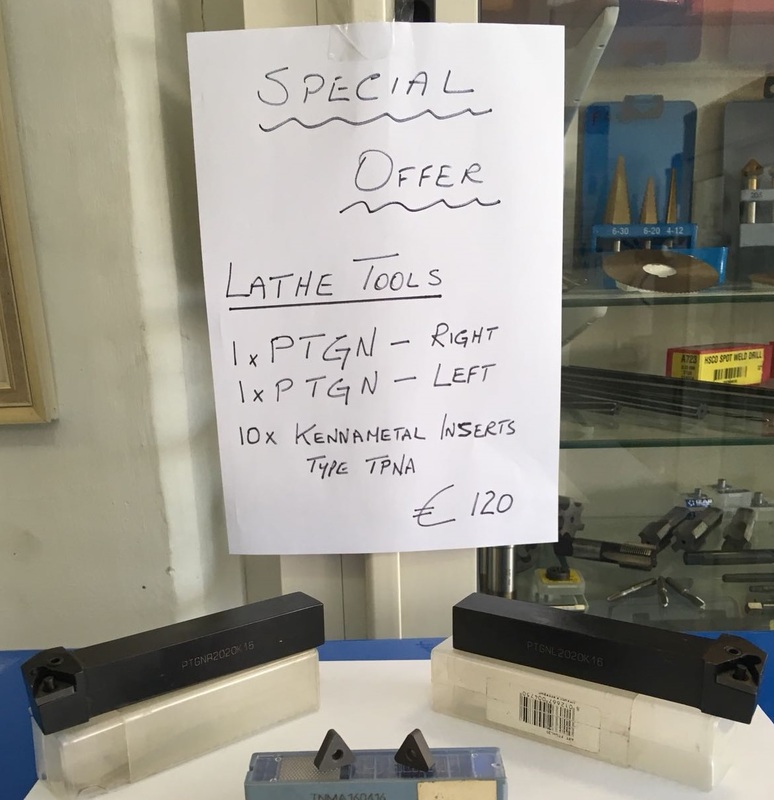 To mark the introduction of these great new products, we are offering Extremely Low Prices for all ranges of Dormer Solid Carbide Milling Cutters. Free Toolholders with a number of indexable inserts purchased during the month of December. The power of the eBLUE technology! eBLUE is a Bluetooth 4.0 smart wireless control unit for lighting control gears which allows dimming, changing color temperature and selecting the desired RGB color for a luminaire. Besides the usual home applications, the characteristics of the eBLUE make it very appropriate for other environments such as offices, hotels, shops, schools or shows among others. More advantages than you can imagine! New wiring, switches, devices or networks are not required. Once a lighting device is connected, it will be automatically recognised by the smartphone or tablet. Old switches made smart. 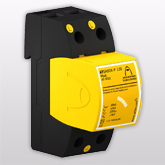 Switches can be used as dimmers or to control multiple lamps. With one touch different scenes can be selected, in concordance with the occasion. The eBLUE allows the user to control all lamps through a smartphone / tablet with a visual and intuitive interface. New programmable scenes based on dates, days of the week, hours or dawn / sunset. Last 30 September was held the 5th edition of Led Professional Symposium (LpS), the most important LED and OLED symposium for professionals in the lighting industry. The symposium addressed issues such as new system approaches, new components, equipments and up-to-date design methodologies. And there our representatives were to present our technology and new solutions! To keep you updated with all the articles we publish in our blog, we will include them here each month. As simple as that! We're having a massive sale on all SVG products! All prices on SVG Products have been reduced! Offer is valid till stocks last! 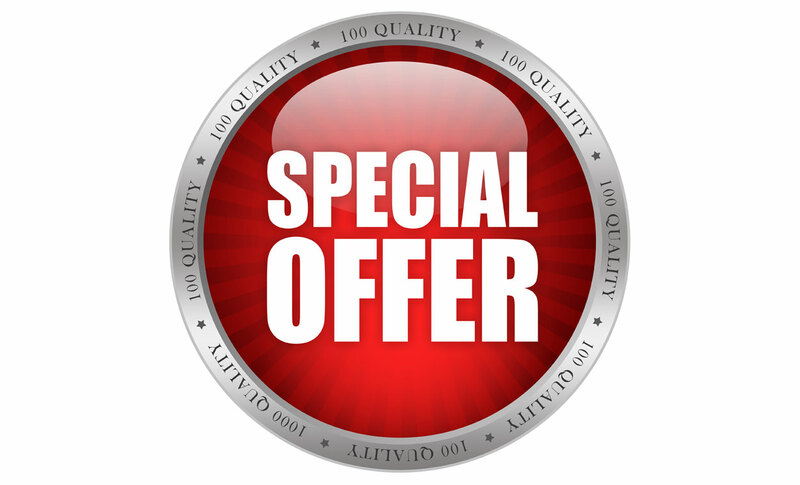 Check out our offers page for all the latest offers! We have opened up our own Facebook page! Like and share our page at facebook.com/mcemalta to get the latest updates from us! Including news on the latest products and promotions! Kindly be advised that our offices will be closed on Summer shutdown from Monday 10th August till Friday 14th August (both days included). 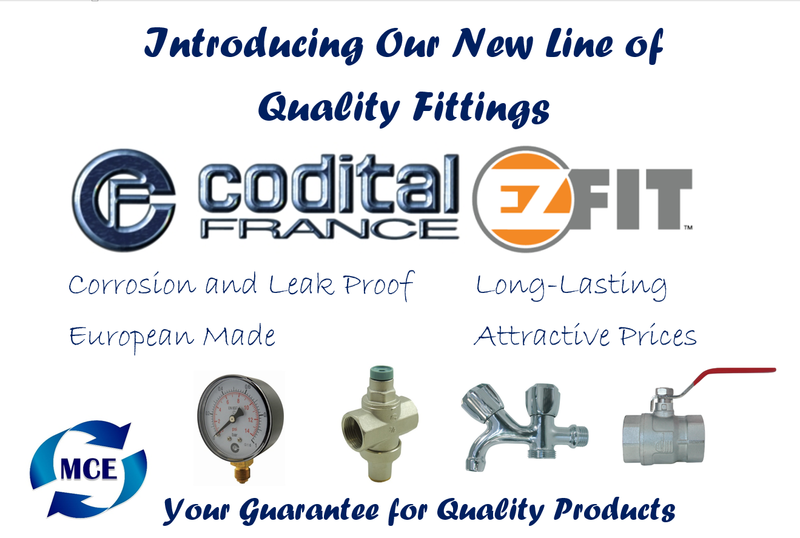 We are happy to offer our latest deals on selected products for this summer. Offer is valid until stocks last! Check our Dormer Pramet's April Newsletter below! Welcome to the latest newsletter from Dormer Pramet! In this edition we provide further highlights from our April new products launch, including the new tangential heavy milling cutters and our carbide thread milling cutters. You can read here about new apps, available for download from our website. To support the launch of several new apps we have added a media library section to our website. 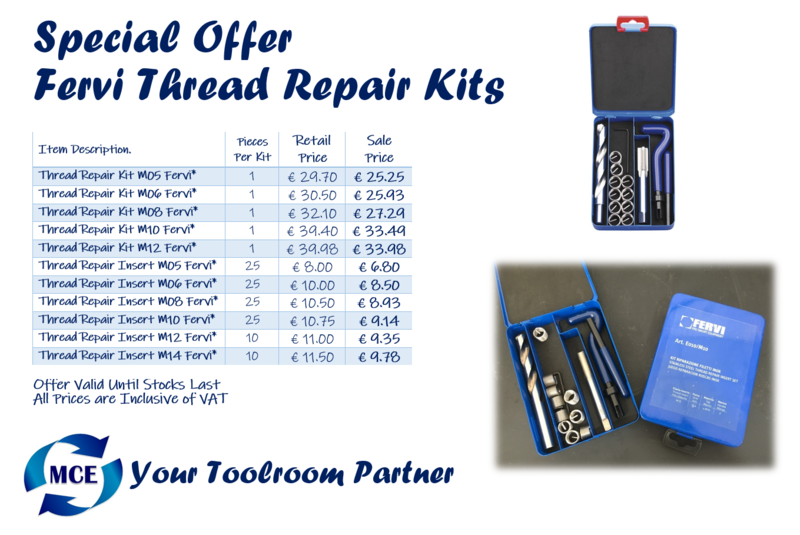 Our comprehensive thread milling program provides a reliable and versatile threading option. 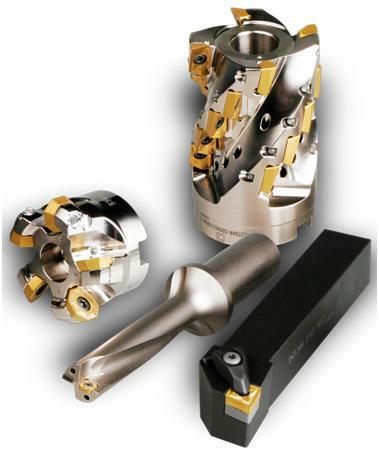 Our new range of tangential face milling cutters and inserts are ideal for heavy roughing. An important addition to our Pramet brand’s milling products, the tangential mounting of the new robust double-sided inserts ensures rigid clamping. www.dormerpramet.com. Here is Dormer Pramet's March Newsletter! In this edition we review the latest digital developments at Dormer Pramet. These include the launch of our new company website and updates to social media accounts to ensure you have the information needed to make tool choice and keep you up to date with the latest news from Dormer Pramet. We also look back on the Pakistan Auto Show which took place earlier this month. www.dormerpramet.com brings together the previous Dormer and Pramet sites into one convenient and user-friendly location. It hosts detailed information on our complete rotary & indexable tooling ranges, latest product news and a publications download facility, as well as our online ordering (e Shop). If you've been around for 150 years, (like we have by the way!) you start to acquire a wealth of knowledge. 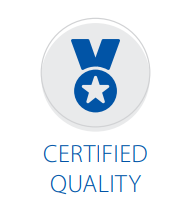 We believe in sharing this expertise with our friends, which is why we offer a range of product videos, photos, company updates and our popular machining tips online. Join the discussions on social media by following our new Facebook, YouTube and Twitter profiles. We are delighted to announce that our agent in Pakistan, Universal Tooling Services (UTS), was awarded a Silver Sponsor Award by the Chairman of PAPAM, the event organiser of the Pakistan Auto Show, for its excellent stand. Over 30,000 visitors entered the doors of the Karachi exhibition centre during the 3 day event. UTS used the opportunity to full advantage to introduce the Pramet brand to all their stand visitors, as well as promoting Dormer. LCM-E, 16 selectable output currents in one driver! We present you LCM-E range, a driver with up to 16 selectable output currents, operated by dip-switch which offers a great versatility. LCM-E is a constant multi-current control gear intended for all types of interior LED luminaires up to 42W. 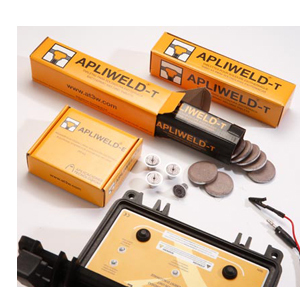 All types of protections to extend the nominal lifetime up to 50,000 hours are included: thermal protection, overload protection, short circuit protection or protection against no load operation. After a hard effort of our R&D Engineers team, we present you the new LED catalog. This is the latest version and includes all the LED solutions developed and launched to date. Once again, ELT will attend Middle East Electricity, the most important lighting fair in the Arab market. At this occasion, which celebrates its 40th anniversary, we will present all our LED novelties included in the new LED 2015 catalog. After the opening of the Branch Offices ELT FRANCE and ELT ITALIA, ELT opened last 27 January a new Sales office in the Czech town of Decin, with the aim of bringing even closer ELT technology and providing better service in Central European countries such as the Czech Republic, Slovakia, Poland and Hungary. Viktoria Sychevska, current ELT Area Sales Manager, is the person who will lead this project. Our supplier Dormer has started a new monthly newsletter. Check it out below! Welcome to the new monthly newsletter from Dormer Pramet. In this edition we take a look at a new product developed in recent weeks to provide reliable and simple solutions for a range of industry sectors and applications. Happy reading! A new solid carbide drill for applications up to 8xD is now here! Universal Tooling Services (UTS), one of Pakistan's leading engineering companies, will show Dormer and Pramet tooling at Karachi's Expo Center. We have moved our offices. But not as far as you'd think. We have moved our offices downstairs, taking one side of the Electrical Counter. This was done to position ourselves closer to our clients in order to provide a better and more efficient service to everyone! Both the Electrical and the Tooling Counter have not moved and have remained where they are. We are proud to announce the launch of our new and interactive website! With our new interactive website one can request an enquiry for any of our productsand our sales team will get back to you as soon as possible with all theinformation you need! 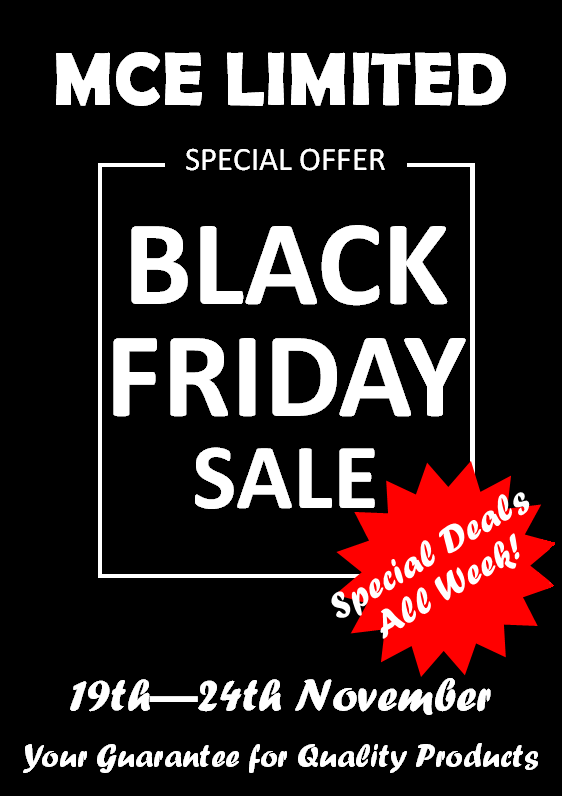 You can even take a look at all the projects that we have undertaken, as well as view the list of products we have on special offer!